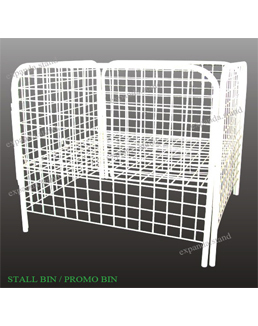 “Stackable baskets”, in general are often referred to as “Alligator Bins” in India. 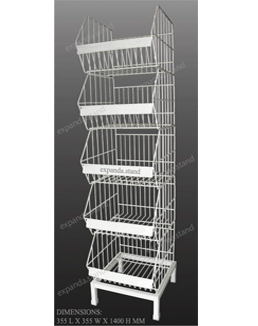 Expanda Stand offers stackable baskets which are of 2 kinds modular and the welded ones. 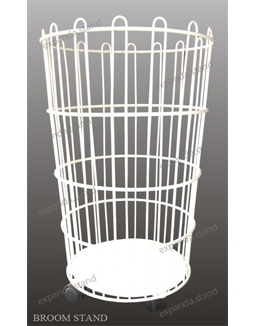 These stackable baskets are stand alone type which normally are used to store eggs, promo packs or sometimes even the toiletries. 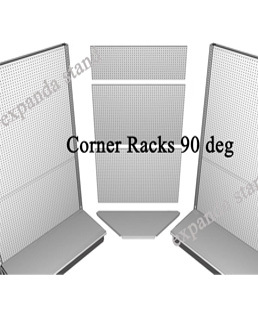 The actual intended purpose of stackable baskets is to fill up the small gaps in small retail outlets where customization of shelving sizes will turn out to be expensive to their quantities which might leave small gaps about 350-400 MM & this turns out to be an unutilized space in the retail store. In order to fill out this gap & make use of the space effectively, stackable baskets are essential. These bins are sturdy and robust.